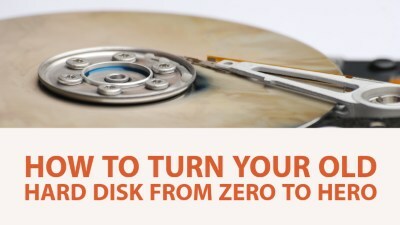 How you can speed up your old low performing hard disk, without replacing it. If you are still using a spinning hard disk for your games or operating system this post is for you. a bad hard disk can eat up the fun and some time it is the main reason behind the frame rate dropping issues. Now comes to the point, how do we get a juice out of a slow hard disk, especially the old ones. So here we gonna use LLF or Low Level Format. So what exactly is low level formatting of hard disk? Well in system build formatting tools, that our operating system generally provide us, don't really erase all the data of the disk. Some system data kept there, the main function of high level formatting tools is to make the hard disk readable once again. But the low level formatting tools delete all the sectors of the hard disk and clean the hard disk. Its like restoring to factory setting. It is free for personal use, and can easily be used for your external hard disk. Remember the technique "How To Turn Your old Hard Disk From Zero To Hero" mention here will wipe all your data so before start using this software, its advisable to make a back up of all your important stuffs.